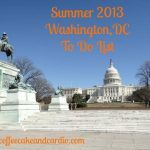 There are so many things to do in Washington, DC! The spring is such a beautiful time of year here in DC and a great time to get out before the summer heat arrives. 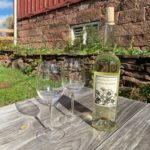 Although summer doesn’t arrive until June 21, the summer heat usually arrives in middle to late May, giving us about 2 months of crisp spring days. 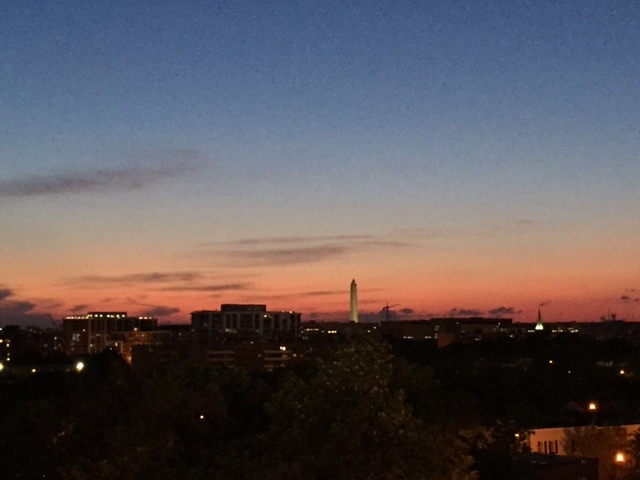 As a DC area resident, living outside of the city, it takes a little more effort to get out and do things. I like making a list of things to do within a season, planning out our adventures ahead of time. The spring is also a great time to get out before the summer interns and tourists arrive, so I usually pack a little more into the spring. 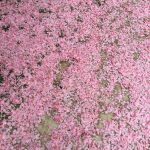 Here are 10 things to do in DC this spring. 1. 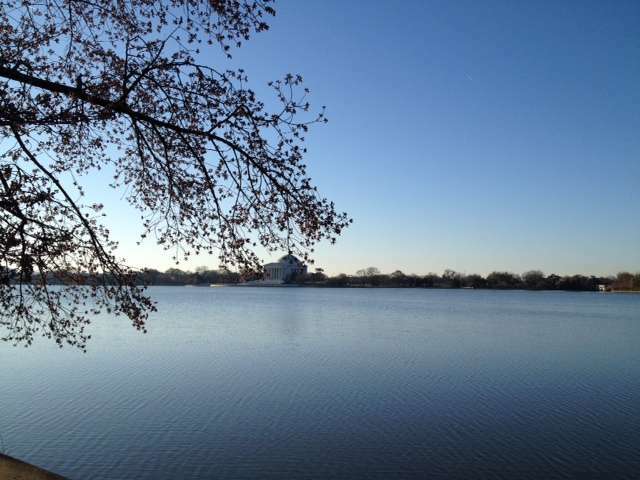 Walk around the Tidal Basin. 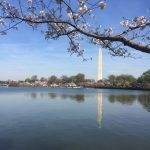 The Cherry Blossoms may have peaked already, but the spring is a wonderful time of year to walk around the Tidal Basin. The approximately 2 mile loop will take you past the Jefferson Memorial, MLK memorial, and FDR Memorial. 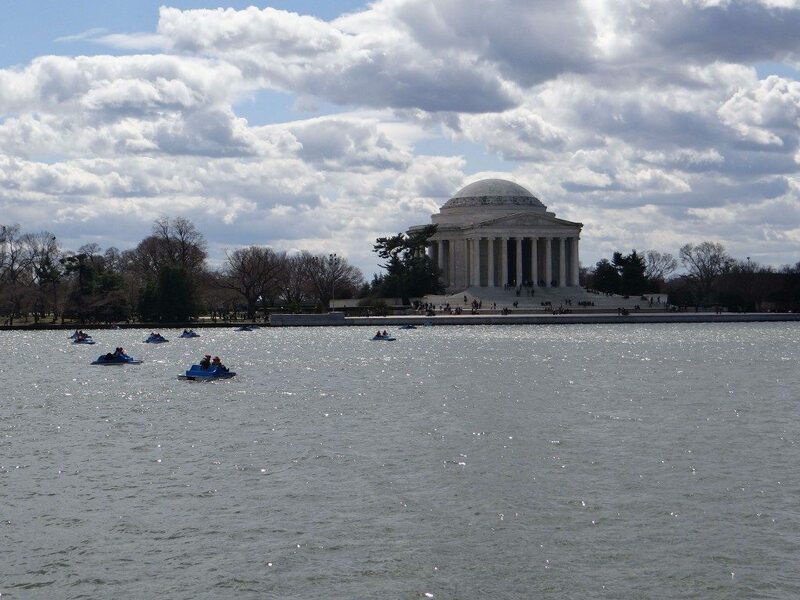 After your walk, hop on a paddle boat and enjoy the Tidal Basin from the water. 2. Visit one of the many farmers markets in the Washington, DC area. 3. Grab a cupcake at Baked and Wired and walk along the Georgetown Waterfront as the sun sets. 4. Hike the Billy Goat trail on the Maryland side of Great Falls. We’ve never hiked the Maryland side, but friends always rave about the Billy Goat trail. It’s pretty rocky I’ve heard, so it’s important to keep that in mind. 5. 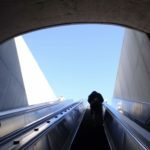 Enjoy a Monday night burger and beer at Open City and then take a stroll through the National Zoo. 6. Visit the US National Arboretum and walk around the grounds. 7. Head to VinoFest for wine, music, and food with a group of friends. 8. Metro into the city, grab a bike from the Capital Bike Share, and enjoy the city! 9. Head out of the city and drive Skyline Drive. 10. Grab brunch at Osteria Morini and see a Sunday Nationals baseball game! Opening day is April 7!